First foods for little eaters don't have to be bland and boring! 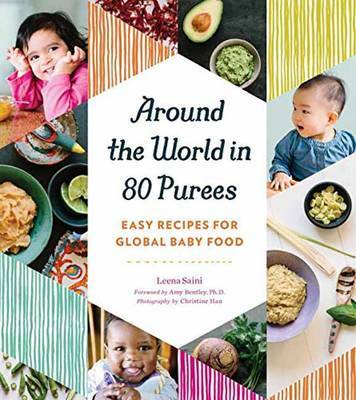 Featuring 100 delicious recipes like Mango Saffron Puree (India), Rosewater Vanilla Smoothie (Middle East), Pastina with Parmesan and Nutmeg (Italy), and Pumpkin Millet Porridge (Russia), Around the World in 90 Purees shows foodie parents how to bring global cuisine to the high chair with little effort and no fuss. Studies show that babies who are exposed to a variety of tastes grow up to be more adventurous (and less fussy!) eaters as kids. This comprehensive and easy-to-follow book is the perfect resource for parents of toddlers aged 6-18 months who want to broaden their baby's palate.